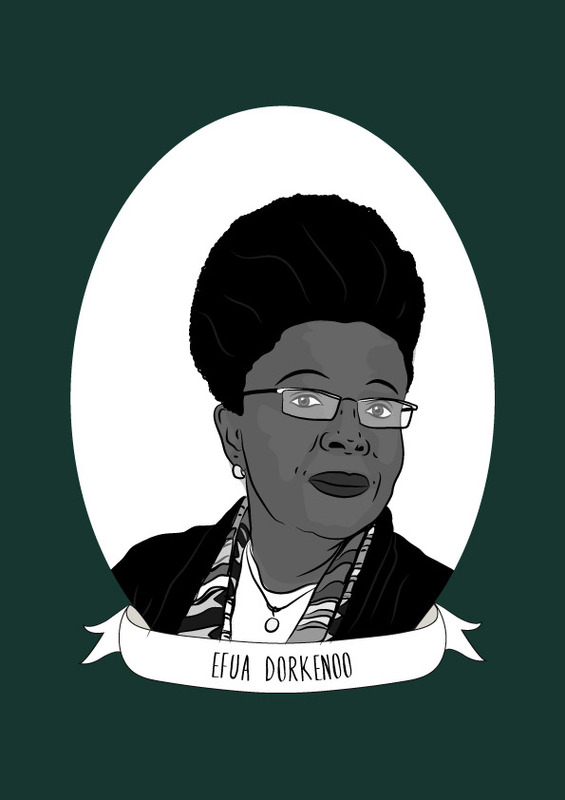 Efua Dorkenoo, affectionately known as ‘Mama Efua’ was a Ghanaian-British campaigner against female genital mutilation (FGM) who pioneered the global movement to end the practice. Dorkenoo began her career in health while working as a staff nurse at various hospitals including the Royal Free. While training as a midwife, she became aware of the practise of FGM while treating African born women and the impact this had on their lives. Dorkenoo continued her education, earning a master’s degree at the London School of Hygiene & Tropical Medicine and a research fellowship at City University London. Dorkenoo was unable to ignore the prevalence of FGM and in 1980 she travelled to various locations in Africa with the Minority Rights Group to put together one of the earliest reports published on FGM. Three years later, she co-founded FORWARD (The Foundation for Women’s Health, Research and Development). The organisation led the battle against FGM as well as working hard to raise awareness of the issue. FGM still affects more than 125 million girls and women worldwide and is widely practised in 29 countries in Africa and the Middle East. It was outlawed in the UK in 1985. Dorkenoo came up against resistance for her work, as well as threats from those who felt that she was going against long-standing cultural traditions. In 1994, Dorkenoo published Cutting the Rose: Female Genital Mutilation: The Practice and Prevention which was selected by an international jury in 2002 as one of the “Africa’s 100 Best Books of the 20th Century”. She went on to work for the World Health Organization in Geneva from the late 1990′s to the early 2000′s where she held the position of acting director for women’s health until 2001. Dorkenoo said that one of the main issues with trying to fight FGM was that it was a practise usually done in secrecy and so, it was difficult to prosecute those who had allowed it to be carried out. Dorkenoo was the first Advocacy Director for Equality Now (an international human rights organisation), before becoming their Senior FGM Advisor. She then went on to become Programme Director for The Girl Generation, which continued to campaign against FGM after her death in 2014.